(AP) WASHINGTON - Attorney General Eric Holder said Thursday he's disturbed by what he's read about the New York Police Department conducting surveillance of mosques and Islamic student organizations in New Jersey. Holder said the Justice Department is reviewing the matter, including letters from New Jersey officials complaining that they were kept in the dark about the surveillance. The attorney general's remarks came at a subcommittee hearing of the Senate Appropriations Committee when asked by Sen. Frank Lautenberg, D-N.J., how one law enforcement agency could spy on another state's residents without notifying authorities. New Jersey Gov. Chris Christie and Newark Mayor Cory Booker were apparently "unaware of this large-scale investigation," Lautenberg said. "I don't know," Holder replied. "We are in the process of reviewing the letters that have come in expressing concerns about those matters." 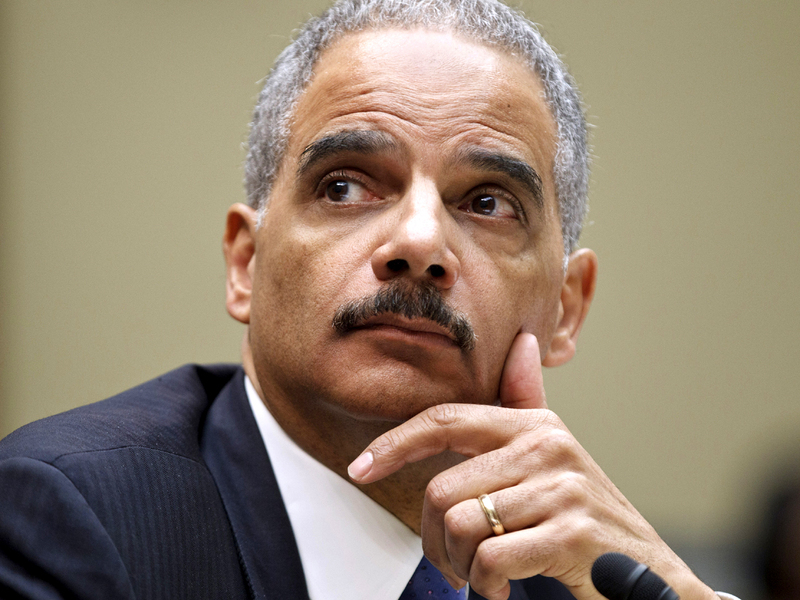 "At least what I've read publicly, and again, just what I've read in the newspapers, is disturbing," Holder said. "And these are things that are under review at the Justice Department." The New York police monitored Muslims in New Jersey at businesses and their mosques in a surveillance operation that was disclosed recently by The Associated Press in a series of news stories. The attorney general said he has spoken to Gov. Christie, who strongly emphasized his concerns about the surveillance program. Holder said that at a reception several days ago, Christie "expressed to me the concerns that he had" and that the New Jersey governor "has now publicly expressed his concerns as only he can." NYPD surveillance of students called "disgusting"
Christie has criticized the New York Police Department for what he and other New Jersey officials have described as less than full coordination and disclosure to them of what was going on. Holder didn't say whether he was more concerned about the lack of coordination or the surveillance itself. Religious leaders of different faiths are joining with New Jersey Muslims in demanding reassurance from authorities that no one is being spied on because of their faith. At an event in Jersey City featuring mosque, synagogue and church leaders Thursday, several speakers expressed solidarity with Muslims who felt that reports of the New York Police Department conducting surveillance of mosques and Muslim student groups in New Jersey and elsewhere had crossed the line beyond acceptable counter-terrorism methods. NYPD officials have defended their operations in New Jersey as legal and warranted. Several Muslim leaders renewed their calls Thursday for a state investigation into the matter.